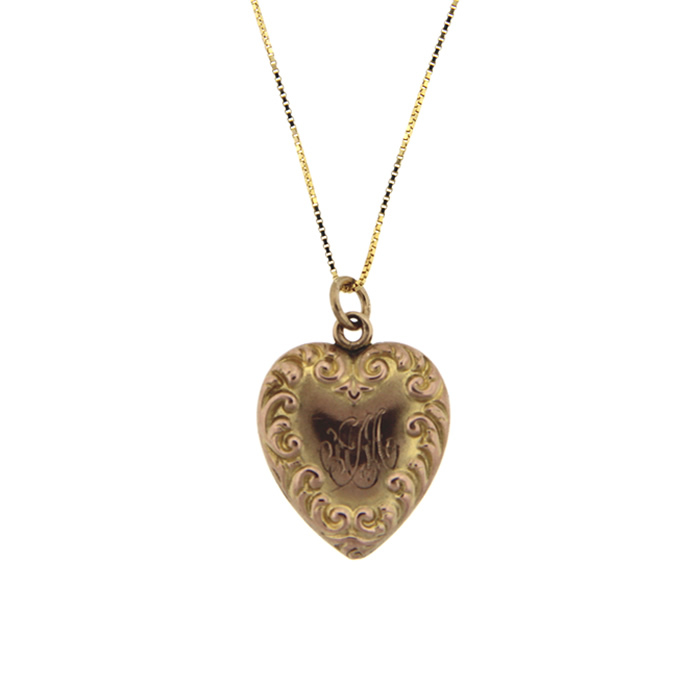 A sweet and sentimental puffed heart pendant from the Victorian era. 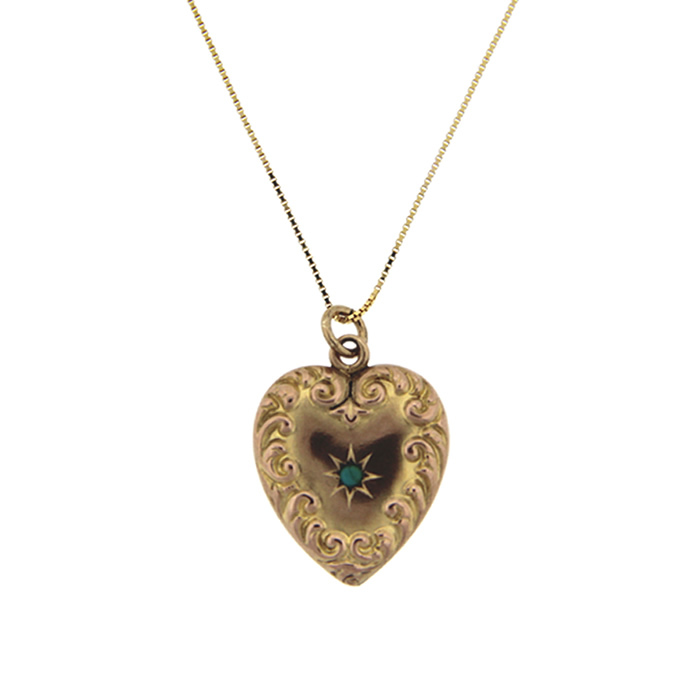 This 10k yellow gold heart is beautifully detailed along the edges with a scrollwork design and set with a cabochon turquoise stone at the center. The back of the pendant is engraved in script with the initials "A.M.". 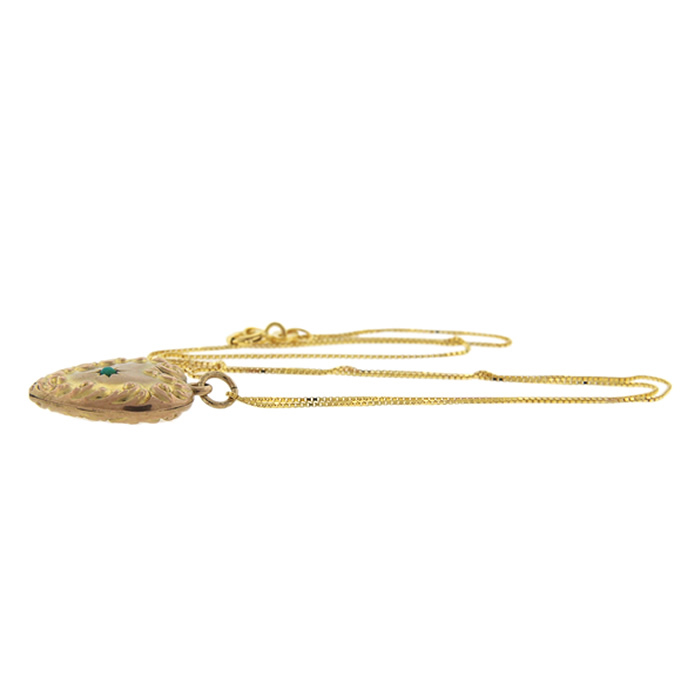 Age, wear and love have left a crack down the center of the turquoise stone. The stone is still very secure in the setting.